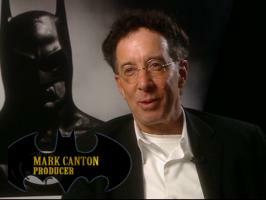 See the gallery for quotes by Mark Canton. You can to use those 8 images of quotes as a desktop wallpapers. Going to the movies still remains, arguably, amongst the best communal experiences that human beings can share. 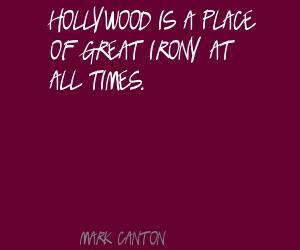 Hollywood is a place of great irony at all times. Being involved in movies is my passion. 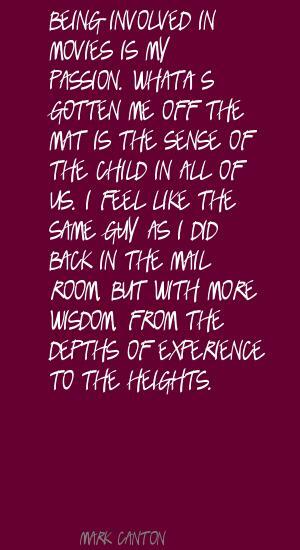 What's gotten me off the mat is the sense of the child in all of us. 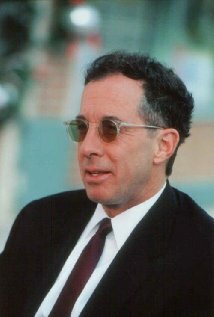 I feel like the same guy as I did back in the mail room, but with more wisdom, from the depths of experience to the heights. The grand scale and immersive nature of The IMAX Experience gives 'Spiderwick' a brand new level of excitement. 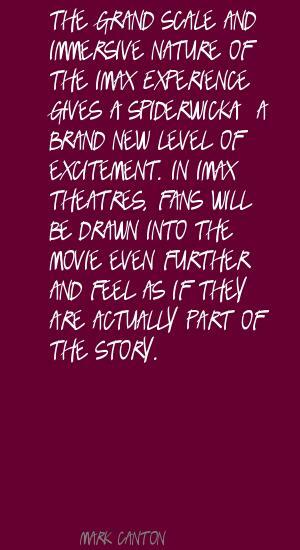 In IMAX theatres, fans will be drawn into the movie even further and feel as if they are actually part of the story. To be honest, I found the 3D in 'Avatar' to be inconsistent and while ground breaking in many respects, sometimes I thought it overwhelmed the storytelling. 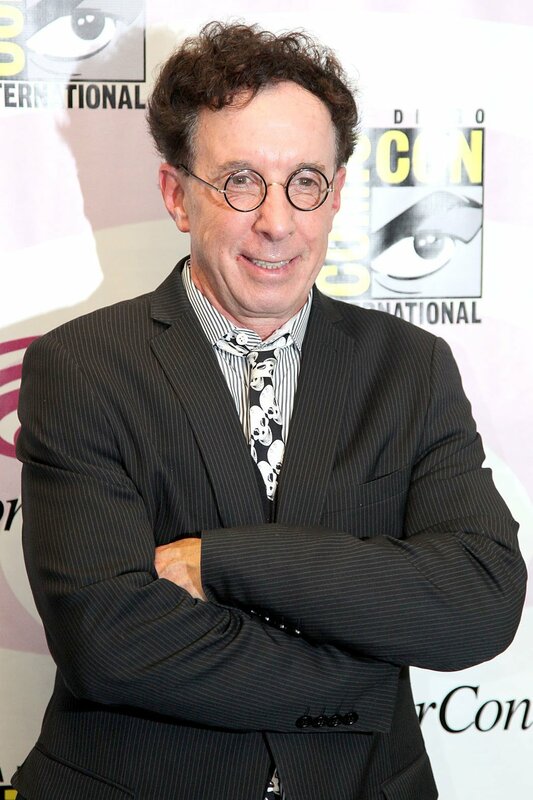 Technology aside, I wish 'Avatar' had been more original in its storytelling.